The First day of the month of Chaitra is celebrated as the Hindu New Year in many states in India. In Maharashtra, it is celebrated as Gudi Padwa while for Telugu and Kannadiga people it is celebrated as Ugadi. 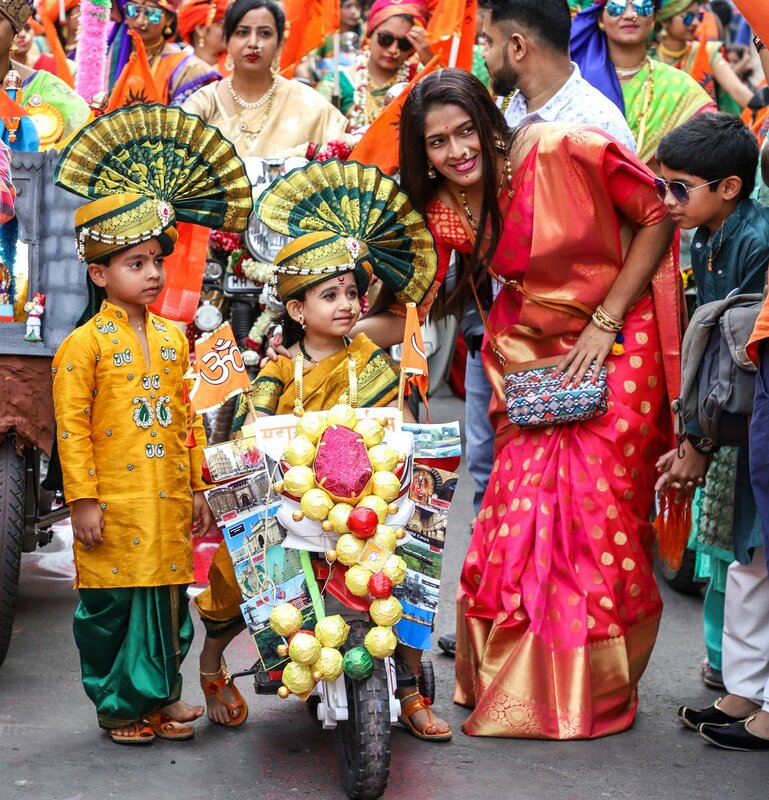 Gudi Padwa in Maharashtra is celebrated with much fanfare and every year, the festival brings glimpses of the rich traditions and proud Maratha heritage. 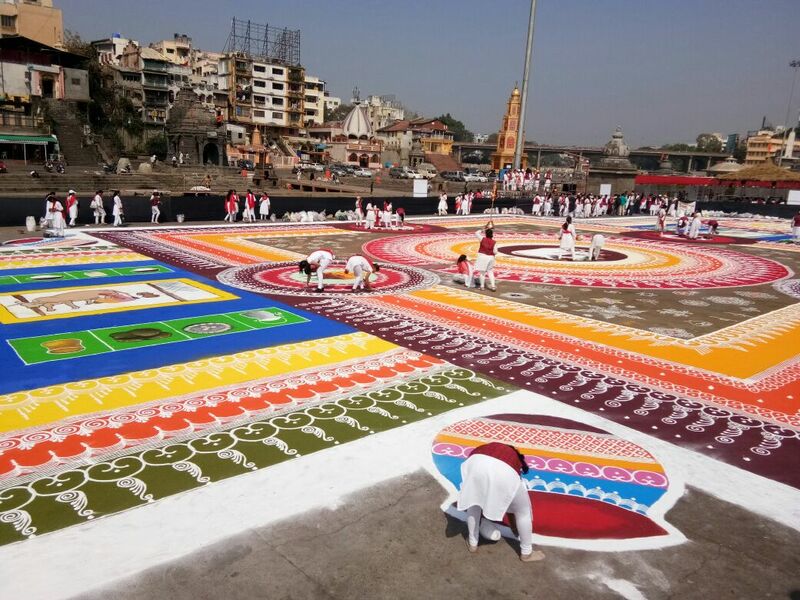 The people of Nashik however, saw people taking up the task of converting the serene banks of Godavari into artistic landscapes. 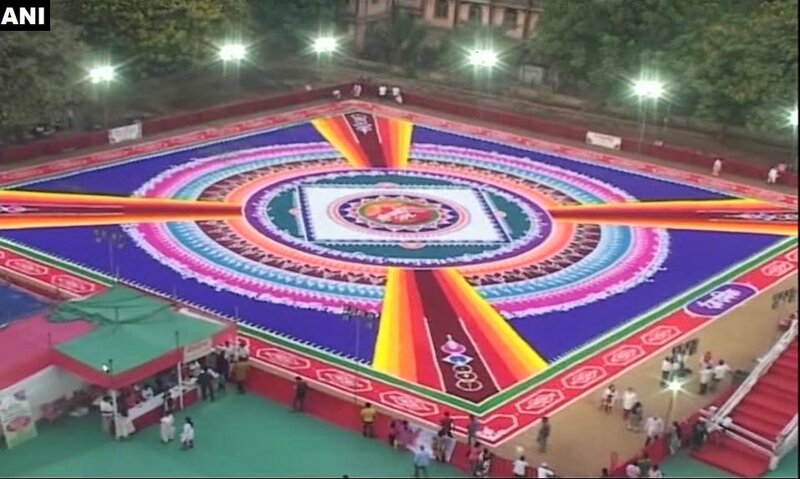 The celebrations were not limited to Rangoli alone. 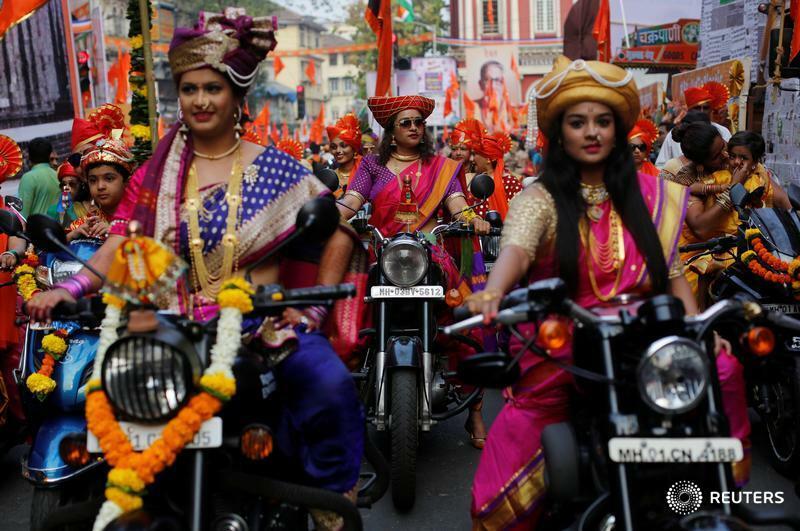 Maharashtrian women dressed in traditional attire and carrying saffron flags took out rallies riding two-wheelers. The visuals have all the aspects of feminine beauty and power captured in frames. Shobha yatras or rallies are an essential part of Gudi Padwa celebrations and Maharashtra saw a lot of it yesterday. Hindu festivals are always the celebration of colours and vibrancy of nature. The visuals of Maharashtra are another reminder of our rich cultural heritage.